Before syncing, be sure to authorize the sync. To learn more check out this FAQ. 1. 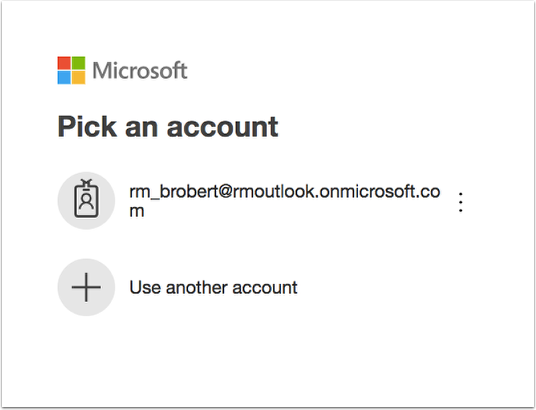 Sign in to your online Office 365 account. 2. Click and select PowerPoint. 3. Click to open a blank presentation or select an existing presentation. 4. While viewing the presentation, click on 'Insert'. 5. Next, click on the blue 'Office Add-ins'. 6. 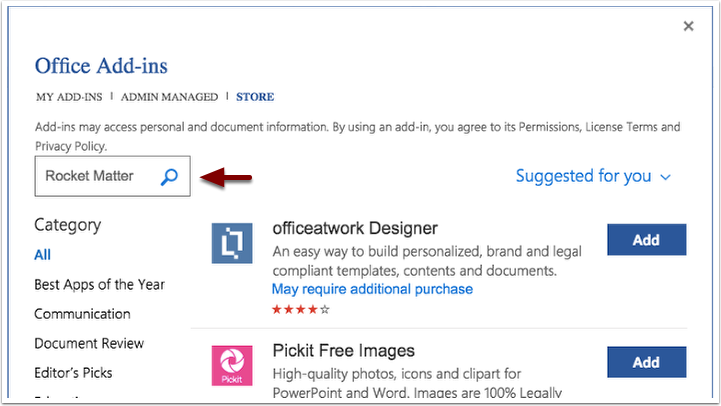 Click on the 'Office Store'. 7. Search for Rocket Matter. 8. Click on the blue 'add' to insert the add-in. 9. 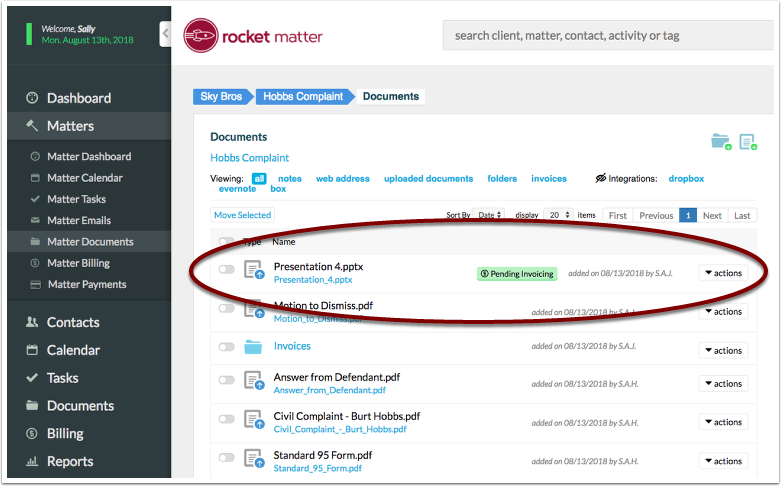 While viewing the 'Home' tab of the PowerPoint, notice the Rocket Matter logo appear on the top-right of this page. 11. 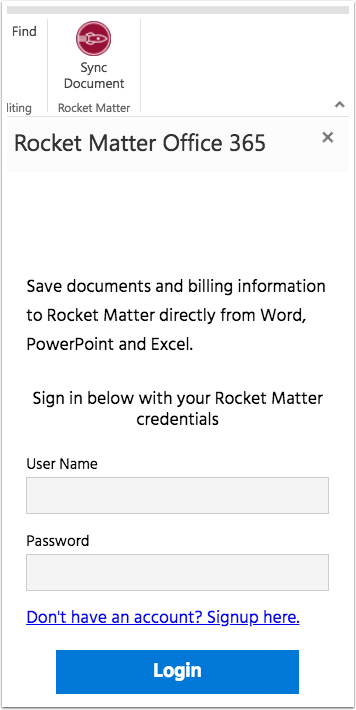 Sign in below with your Rocket Matter credentials. 12. 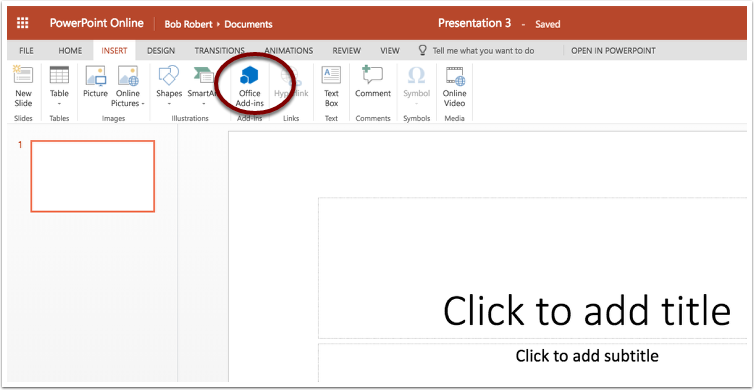 In the sharing window to the right of the presentation, insert the client:matter, billing user and additional time capture information. 13. Be sure to click ‘Save to Rocket Matter’ at the top when finished. 14. After clicking 'Save to Rocket Matter' you'll quickly notice a check mark indicating that this email has successfully been sent to Rocket Matter. 15. 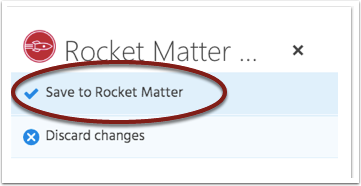 To see your saved powerpoint, navigate to the associated matter in Rocket Matter. 16. 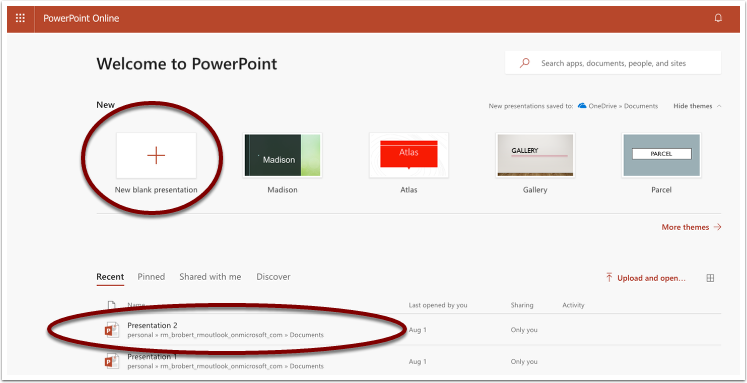 Click on ‘Matter Documents’ located in the left-hand panel to view your uploaded powerpoint.